October has been chosen as a month of over 100 chances for awareness or observances. The National Holiday Calendar list could be grouped into categories of animal care, human care, food, health, ethnicity, and more. So it is tempting to wonder if there is a hierarchy of significance. Are, say, the human causes more important than the animal ones? Famously we are aware that there are more animal shelters per population than women’s shelters. But those who are animal lovers may brush this away because humans are supposed to be able to defend themselves. I am proposing a shift in the way we think about the issue. I am proposing that we shift the emphasis away from violated women as a group that must be advocated for by others and therefore “lower” somehow and emphasize their strengths. Women who have survived domestic violence are veterans, veterans of domestic wars. Many have endured the same tactics used in concentration camps. They experience the same rates of Complex Post Traumatic Stress Syndrome as other war veterans, but are not acknowledged to be part of this population for treatment. They have fought their way to freedom in spite of condemnation, scorn, and slurs. They have seen the look of disdain in some women’s eyes because they want to believe that this won’t touch their lives. They have escaped a war where there was no demilitarized zone. Instead, women escaping domestic violence are in a large part still living with shame. They either don’t want people to know about it or they are still somewhat blaming themselves or both. And this is understandable when we discover that letting someone know you have survived immediately lowers you in most people’s estimation, unlike veterans of other wars. Veterans of Domestic Wars need to show their faces proudly and bravely. They beat the 70% odds of being killed when they made their break. There need to be statues honoring them, marches where we hear their voices, and education for their children. Instead of criticizing these veterans, those who deal with the children need to honor that fact that their mother just rescued them from the burning building equivalent when their father set off his rage bomb in their home. Alcoholism, drug addiction, and unplanned pregnancies in adolescents can often be traced to a lack of treatment for the family. Younger children need support so they can accept that this type of dad wasn’t who they need in their lives. Women need to stop looking down on survivors. They need to stop assuming having a man would solve the problem. Women who have fought in these wars don’t need pity. They need others, especially other women, who understand this isn’t about unusual or exceptional failure, but rather the fallout from a society that empowers violence against women by making excuses for the perpetrators. 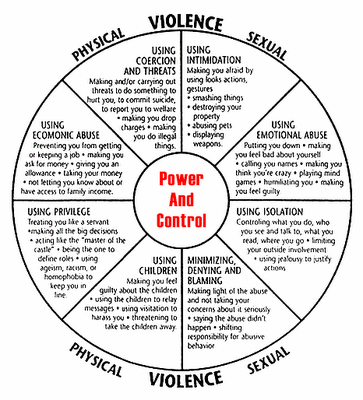 Mostly the focus needs to be shifted to the abusers’ responsibility to get treatment or confinement. The DSM should consider whether such a predicable syndrome or cluster of syndromes does not, indeed, qualify as a type of mental illness. No other animal that I am aware of beats the mother of his unborn child.